I recently read a mother of a man my age reminding her son to bundle up when he was flying home from a hot climate and to land in bitter cold. It warmed my heart because I could relate to her feeling of love for her child. The heart of a mother is always with her child. Whether they are close or far away, we are always caring, loving, and worrying about our children. My own kids laugh because when they leave the house I always say “be careful”…as if they would be completely reckless if I didn’t utter those words! But that’s part of the caring for them. Sometimes, even when they’re in their 20’s, you can’t quite let go of their little hands in your heart. Mary was no different. This young girl who gave birth to Jesus had already endured such pain to this point in the story of His birth. She’d no doubt been shamed by those that knew of her pregnancy. She’d had to leave her family to travel with Joseph, her fiancé. Riding a donkey as tradition says, or walking (the scripture doesn’t say which) on her trip to Bethlehem at full pregnancy could not have been a comfortable one. And having a child in a filthy barn full of animals without even a midwife was surely not how she imagined to give birth to the Son of God! Yet, this was the plan for her life, and she accepted it. But can you imagine how she must have felt hearing Simeon in the temple express to her what she already knew! He told her that her child was the Christ! Oh how she must have glowed, filled with love that only a mother can feel when she looks at her child. But then to hear Simeon tell her that “yes, a sword will pierce through your own soul ALSO”, must have taken the breath from her. 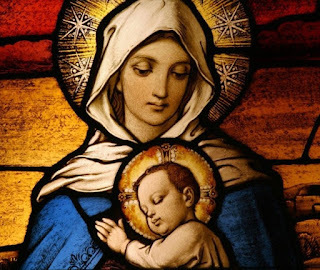 After all, the angel that announced her pregnancy had said she was blessed among women, favored by God, the mother of the “Son of the Highest”, and God was going to place Him on the throne of David. There was no mention of swords! Moms, for a moment imagine yourself in her shoes. You have your baby in your arms, now about 40 days old, full of innocence. You go to the temple, a place to connect with God. Then a total stranger, yet one that is renowned as a prophet, tells you that your son will be pierced with a sword – and your own soul too? What would you do? I believe I’d take my child and go into hiding, protecting him throughout all his days from such a fate. A mother will do anything to protect her child, including give her own life. From His very birth, the love for Christ separated people. 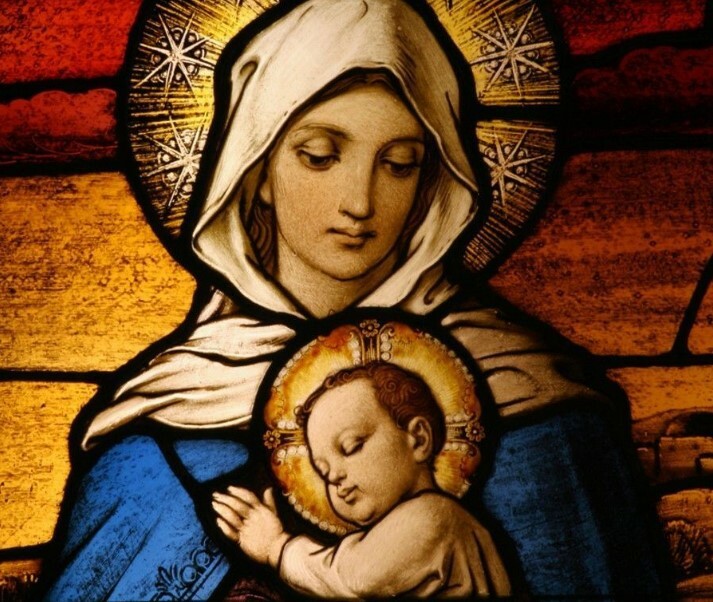 It separated Mary from her family as her love for him was greater than her shame. It separated Joseph from his hometown of Bethlehem when in his love for Christ, they fled to Egypt to prevent Him from being killed by Herod. It separated the disciples that followed and loved Jesus from the rioting crowd that wanted Christ crucified. And even today, it separates families, nations, and continues to create war. The good of God is at war with the evil of the world. For Christ to be our Savior, there has to be something to be saved from. But what He is saving us from is ourselves – our own evil. You see, there were other mothers in the crowd at the crucifixion too. Jesus’ sword pierced side no doubt ripped through Mary’s heart and pierced hers as well, just as the prophecy of Simeon had foretold. But there was no sympathy from the other mothers. Yet as strong as her love was for Jesus on that day, there was one love expressed that was even greater than that of His mother. The love of Christ will always be the strongest love we can receive. It took becoming a mother for me to realize what true love really is. But I am convinced that the love of God is greater. I cannot imagine the love of God, giving His son, allowing Him to leave the glory of Heaven where He was worshipped by angels, to save me from myself. That kind of love is beyond my full understanding. Christmas can be a difficult time for many. This year, rather than focusing on the stress of buying and giving, cooking and serving, coming and going, take time to rest. Meditate on the love of the God that holds the universe in place. He loves you enough to give His Son, to watch Him suffer and die, just so that He could love you eternally. May that love bring your heart joy!